Today I'm here to share with you Liese's new products! There are 4 products in this new Daily Enhance Styling Series. Continue reading for the my personal review below! This has got to be the best selling point of this series! should know that I hate sticky/greasy/thick products. That's the reason why I seldom style my hair (partly due to laziness too). 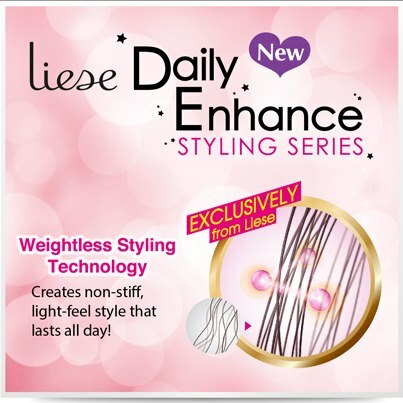 This Liese Daily Enhance Styling Series is really weightless and non-sticky plus it stays all day! 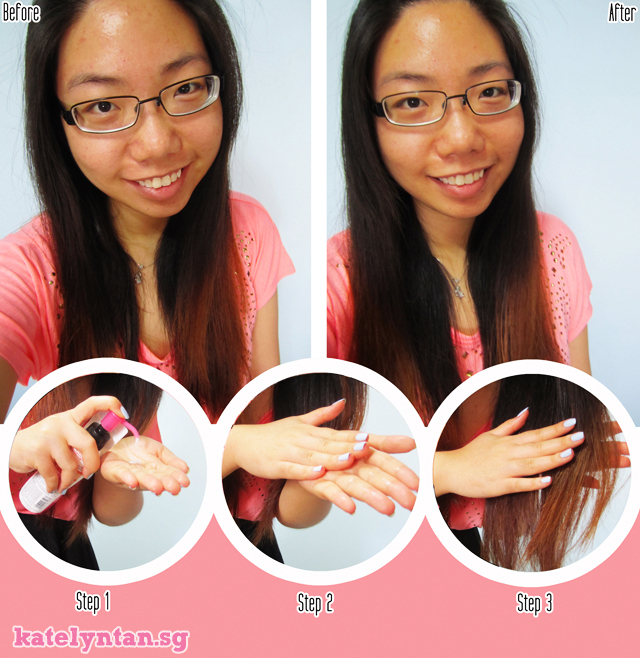 I went out to sing K after doing this tutorial and my hair was dead straight even till the next day. In addition, strangely this product managed to keep my hair oil-free lols. No idea why. Usually my hair gets oily very quickly but strangely that wasn't the case after I applied this product. I think it's gonna be my favorite styling product. 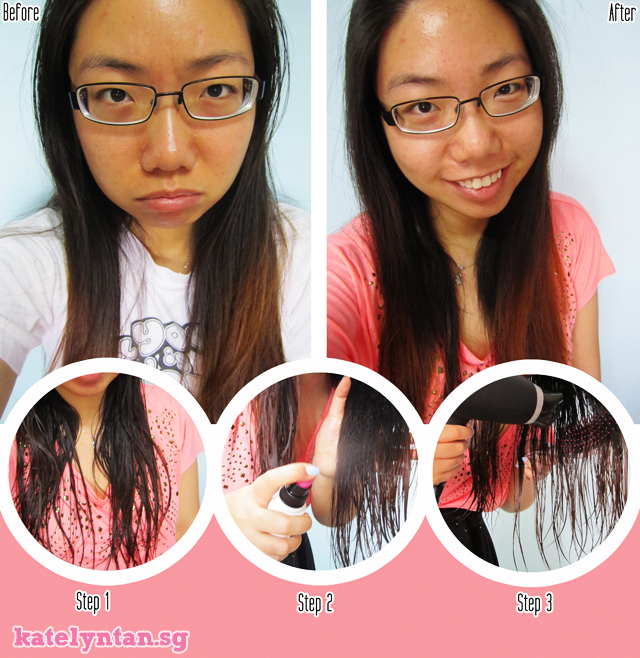 to get super straight hair that lasts all day! Allows you to create sleek, straight hair that curls inwards while eliminating unwanted frizz and curls. Prevents damage from blow-drying. If I can only choose one product, it would definitely be this! This straight style mist could help me eliminate some frizz. My hair was more tamed after using the product. Contains damage-repair ingredient which moisturises and eliminates frizz instantly, keeping dry and rough hair tidy and manageable all day long. Simply restyle with hands. Can get a little messy and it feels slightly sticky at first. But once it dry up/ get absorbed by the hair, it's no longer sticky. This was the product which gave me super straight and neat hair! You can visit their website here for more styling tips! 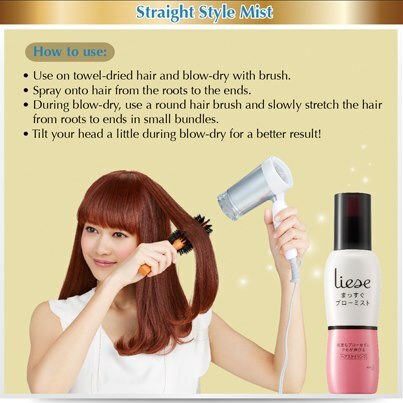 Don't forget to like Liese Singapore Facebook Page!